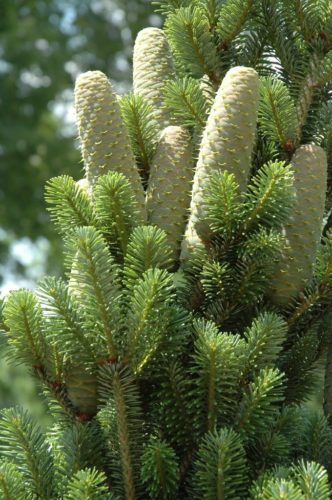 Abies alba 'Pyramidalis' is a narrowly conical, fastigiate selection of European silver fir with glossy dark green, short needles with silvery undersides and dense, erect branches. It's overall structure is tight pyramidal when young, but over time, an older plant will take on more of a narrow, conical shape. After 10 years in the landscape a mature specimen will measure 10 to 13 feet (3 - 4 m) tall and 3 to 5 feet (1 m) wide, a rate of growth of nearly 1 foot (30 cm) per year. 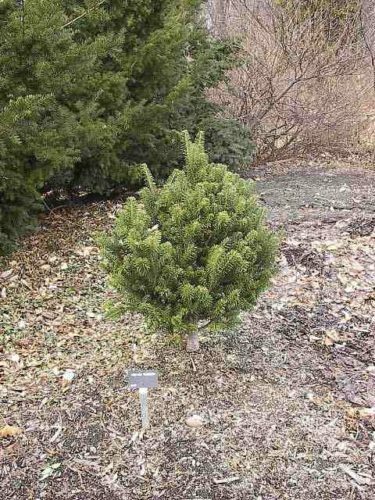 This is a very old cultivar most likely originating in Germany in the early 1800s before making its way to the United Kingdom around 1950, then to the United States around 1970. 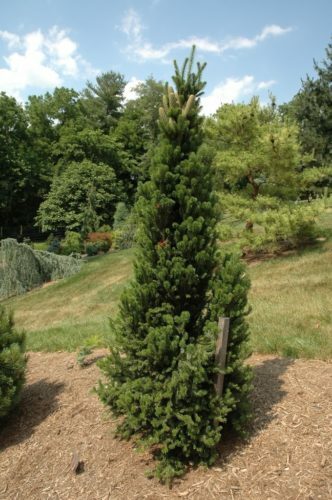 It is virtually guaranteed to be found in any large, important conifer collection anywhere. Abies alba 'Pyramidalis' Photo taken Spring 2003 in Moline, IL. This plant was 7 years of age on this date. 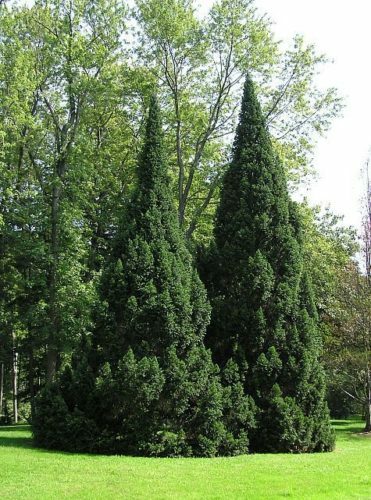 Abies alba 'Pyramidalis' Very old specimens growing in Secrest Arboretum in Wooster Ohio. One of my personal favorites. Abies alba 'Pyramidalis' — a closeup of fresh shoots and seed cones. Abies alba 'Pyramidalis' — a young specimen with good form.